Jim Jenkins knows local talent. He's seen the tatted and tough and he has a razor sharp eye for what it takes to get it done in combat sports. 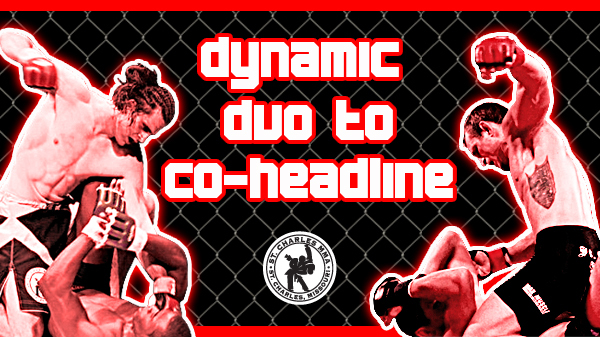 As the commander and chief of Sport Fighting League teams with Rumble Time Promotions to embark on a year-long stint at the Ameristar Casino (beginning with tonight's March Mayhem), Jenkins is calling on two area aces to headline events in May and July at the St. Charles location. Area MMA superstars and teammates Zach Freeman and Josh Sampo will be in the co-main events for both events. "The whole idea is to be able to increase the region's viewership and what we have going on here and the best way to do that is to offer the best regional talent we have," Jenkins said. "These guys won't be regional very long as they'll be most likely be breaking through very soon." Both Freeman and Sampo grew up and still train in the St. Charles area. "It's a treat to give them a hometown fight and a treat for their fans to see them locally, and to get them more experience and one more step closer," Jenkins said. 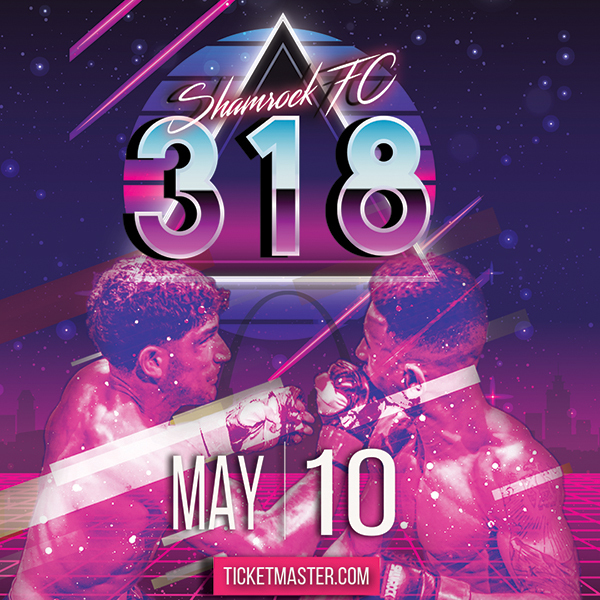 Both Freeman and Sampo are slated to fight on the Fight Me MMA April 13th show, which means a quick turnaround before stepping back in the following month. For Freeman, a lightweight, it's an opportunity to get as many fights as he can in the calendar year. "I'm ready," Freeman said. "I want to get five or six in by the end of the year." Freeman, who just turned 28, was within a whisker of making it on the Ultimate Fighter Live. He got a call back to Las Vegas as one of the final 40 fighters picked but instead ended up being one of the eight that didn't make the cut. "I honestly thought I was getting on it," Freeman said. "I think it all will work out. It was great to meet a lot of the guys and see how in this industry you befriend people who you might fight. I know I have a good story and have a good chance to get on a future TUF show or straight to the UFC. We'll see." Freeman's investment in the tryout process took up nearly four months of his time. But instead of getting his dauber down, he is relishing the new opportunity. "Being the co-main events and kind of being the face for Ameristar, that is what we're excited about," Freeman said. "I was really down about not making the show. But there is a reason so I'm going to keep a positive attitude and fight as much as I can while I'm still young." Freeman is just 3-0 as a pro. "There are guys who are 21, 22 who are ahead of me," Freeman said. "It's time to get the experience and catch up. In my last two fights I've came out pretty unscathed. As long as I can keep my fights going in the direction they have and I'm not injured I can fight and there's no reason not to get them while I can." The pair has been on the same card in the past and for Sampo, having a teammate along for the ride is always a good thing. "It's great having a teammate there and you get a few more people to show up," he said. "It keeps you a little calmer." The UFC just picked up Sampo weight class, flyweight, and it was well received in its debut showing. "That's awesome but that really doesn't change how many fights that I'm going to get," Sampo said. "Whether you want to get 15 fights or three fights, it can never work out. As many fights as I've had scheduled and penciled in, I could have 50 fights by now. So many fall through and so many things happen. So it's just one fight at a time. When it shows up on my doorstep, I'll take it, run with it, hit it hard and move to the next one." The 27-year-old Sampo is 5-1 in his pro MMA career. On March 9 he fought his third professional Muay Thai event at Friday Night Fights in New York. Sampo lost a close decision to Ognjen Topic. "It was a completely different world," Sampo said. "It helps my stand up in MMA and it builds my confidence. That culture is completely different. It was a cool experience. I lost a 48-47 decision and the guy I fought was voted Muay Thai Rookie of the Year. It was a war. We battled for five rounds, non-stop and I've got the bruises on my body to show for it. I think I earned a little bit of respect from the Muay Thai community." Sampo dispels any prejudice that fighters are knuckleheads. He earned his major from Lindenwood in biology with a minor in chemistry. He is currently working towards his master's in education. He wrestled collegiately at Lindenwood and has been an assistant wrestling coach at Francis Howell for four years. "I wrestled all through high school and college and I'll never forget the people who influenced me," Sampo said. "They made me a better person."